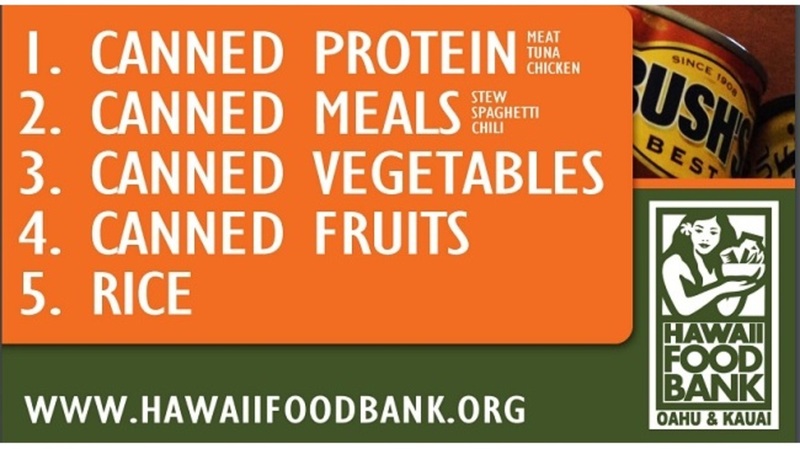 After a year full of disasters in the state (hurricanes, floods, storms, erupt and earthquakes),the Hawaii Foodbank is in high need of food donations, and the school is extending its month-long food drive to help out. The school will extend its Food Drive one more week until December 7th to give you all a chance to make it the grocery store and get those donations back to campus. Campus collection spots are in Student Life & Development, Library, Testing & Tutoring, TRiO, Bldg 2 Computer Lab, Hawaiian Center, Academic Counseling, Admissions.